A couple of weeks ago my husband told me that he had to go to Las Vegas, NV for a week for a work trip. I quickly started thinking of who I could go visit for a week with my 6-month-old because, let’s be honest, I did not want to be on full-time mommy duty with no break. I realized that both my best friend and uncle live in San Antonio, TX, so I booked a weeklong trip to visit. I had never been to Texas, but I kept hearing that it is rare to have a rainy day in San Antonio. They were even in drought season! We left D.C. right as the hurricane rains were passing by thinking I would get a break from the nasty weather that would have come my way. Well… that was not the case. The first weekend I was in San Antonio it rained ALL DAY. Not exactly the weekend I had planned. My aunt and I did not let the gloomy weather ruin our plans to have a fun filled weekend. 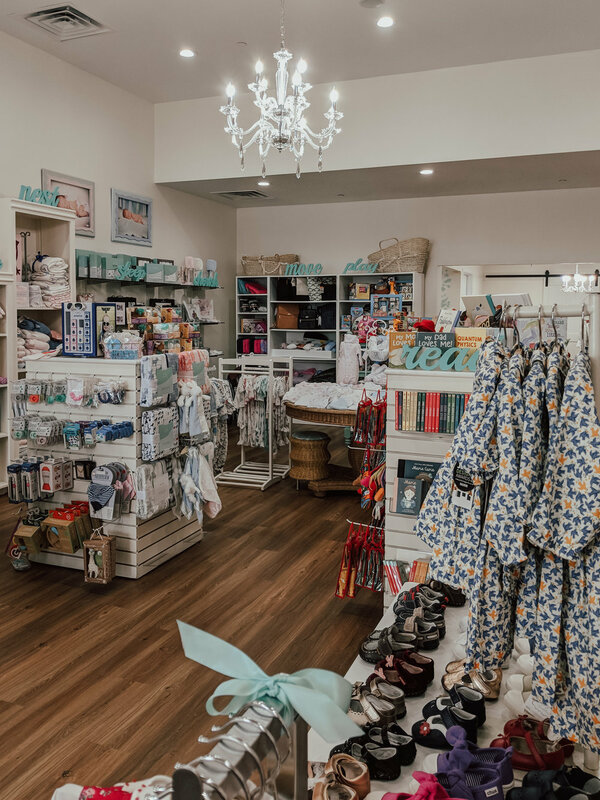 I asked some online mamas for their favorite boutiques in San Antonio, we packed up the diaper bag, and went on our way. We visited a few boutiques and these are my two favorite! 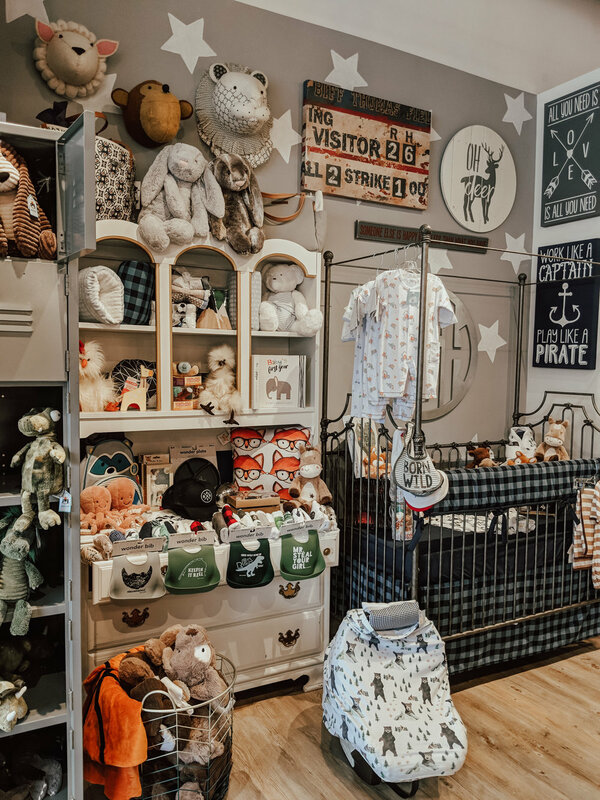 They have clothes, accessories, and décor for the modern and trendy baby. If you need custom monograms, this is the place to go. They monogram IN-STORE. If you’re like me and forget you need a gift for a baby shower or birthday a couple of days away, quick turnaround, in-store monograms come in clutch. I’m planning on having a unicorn themed first birthday for Riley. Whether that’s still what I want to do six months from now is still to be seen. Unicorn everything is trending. I’ve seen just about every article of clothing with unicorns on it. If you’re as unicorn obsessed as the rest of us, this headband is for you (or your baby rather). Need another color? No problem! Nursery Couture has some in-store, but they can also order them custom. Order a unicorn headband with the colors you love, grab some handmade bows, and be on your way to your insta-worthy birthday party. P.S. For other Ryan and Rose obsessed mamas, Nursery Couture carried them too! As someone who loves supporting local and small businesses, I was pleasantly surprised at the amount of socially conscious brands Bambinos carries in their store. 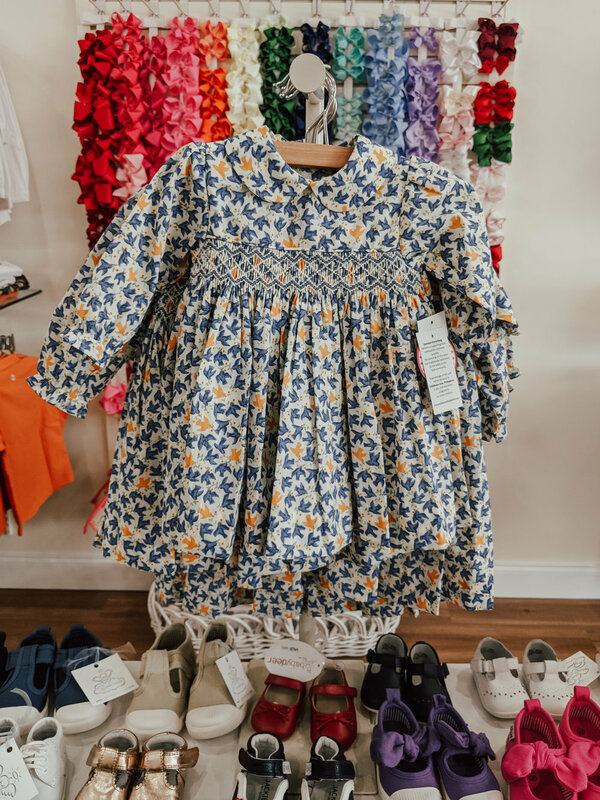 Bambinos not only has a gorgeous selection of quality children’s clothing, they also carry brands that are high quality, handmade, and on a mission to change the world. P.S. The employees were the sweetest! I asked about a million questions and they answered every single one with care. I HATE feeling rushed so I loved how patient the employees were with me! If you live in San Antonio, what should we check out next time we’re in town? If you live elsewhere, where should we go next?